C. G. Jung believed that a spirit of humility and submission, essential in preparing ourselves to live fully, is also required if we are to prepare ourselves for death. He also advised that it was neither normal nor healthy to shrink away from death and thereby rob life's second half of its purpose. How does the way we hold dying and death influence our capacity to live fully? Can anyone truthfully claim to have come to terms with Death? With their own death and the deaths of those they love most? If so, what clinical insights and experiences have been reported as central to such conscious acceptance of death? How can insights that emerge during the dying time illuminate our work with all patients and our own lives? 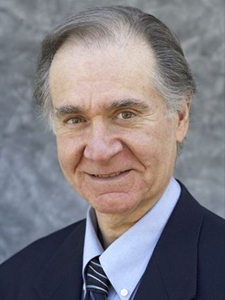 Charles Garfield, PhD, is a Clinical Professor in Psychiatry at UCSF Medical School. He is also a visiting scholar at Graduate Theological Union; founder of SHANTI; and was a mathematician on the Apollo Eleven furst lunar landing. He has published ten books, including, Sometimes My Heart Goes Numb; Love and Caregiving in a Time of Aids; Psychosocial Care of the Dying Patient; Stress and Survival: The Emotional Realities of Life Threatening Illness.